Alongside Gemini, you will broaden your horizons. You will penetrate areas that before you considered forbidden or taboo. Mental resources are always required, and the same can be said about the sense of curiosity. 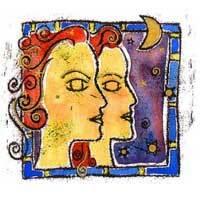 Mercury governing Gemini, combined with Pluto means that you will give the best of you to this relationship. Gemini's anxiety is a permanent challenge. 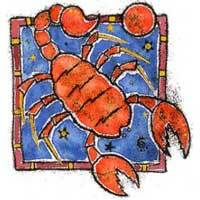 It influenced the 8th House of the solar horoscope, which means that both of you are preoccupied with money, the occult, heritage, and a greater reward for your efforts. Gemini will make you discover some facts which do not exist. Alongside this native, you will acquire a reputation and will have access to a larger and more diverse segment of the population. This is a relationship that works very well, although there are small problems. You are scared of the way Gemini analyzes, asks and fumble deep in your soul. You feel challenged, and sometimes you react. You are more physically attracted to your partner than Gemini is to you. Alongside a Gemini, many concepts of the past lose their significance, look to the future and you will be more attentive to the possible outcomes of your actions. Many things taken for granted are now reassessed and changed, a thing that is not always easy, but it is constructive. If you want this relationship to last, it is necessary to have a long term vision in order to overlook the small and insignificant matters, and to be part of all the magic that a Gemini can create. If you want to constantly learn new stuff, then the Gemini native is the right person for you.